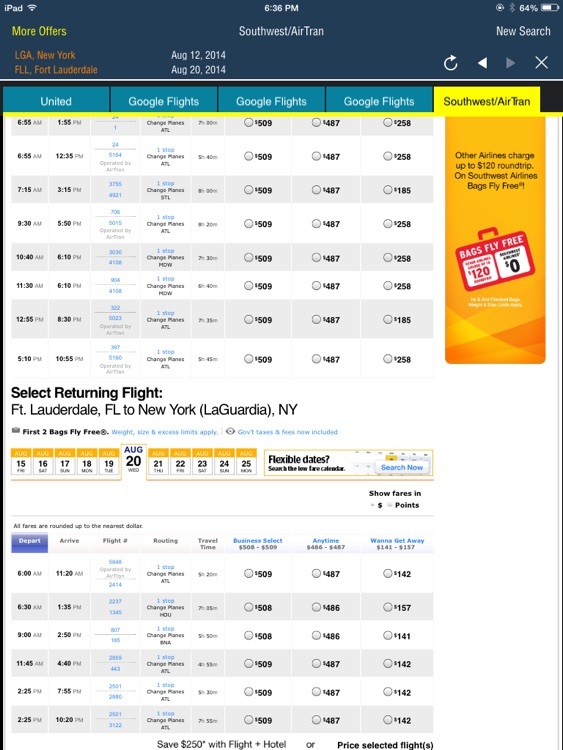 Where others show you a list of airlines and prices Frugal takes you to each airline site and shows you their full offer. 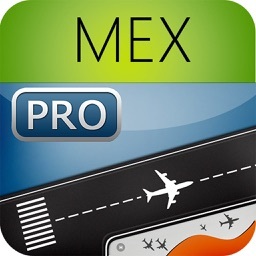 We also show results from the most powerful flight search engine including all nearby airports. 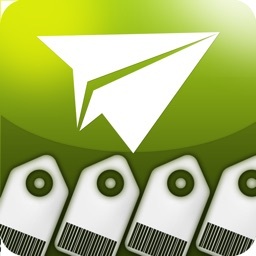 No other app provides as much information to find the best price. 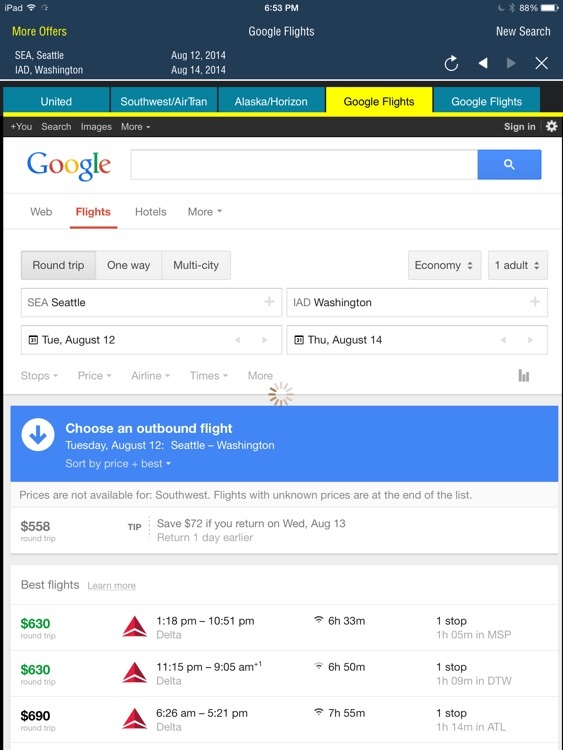 You enter your info once and Frugal sends it to each airline and search engine and then displays their complete offers in separate windows. 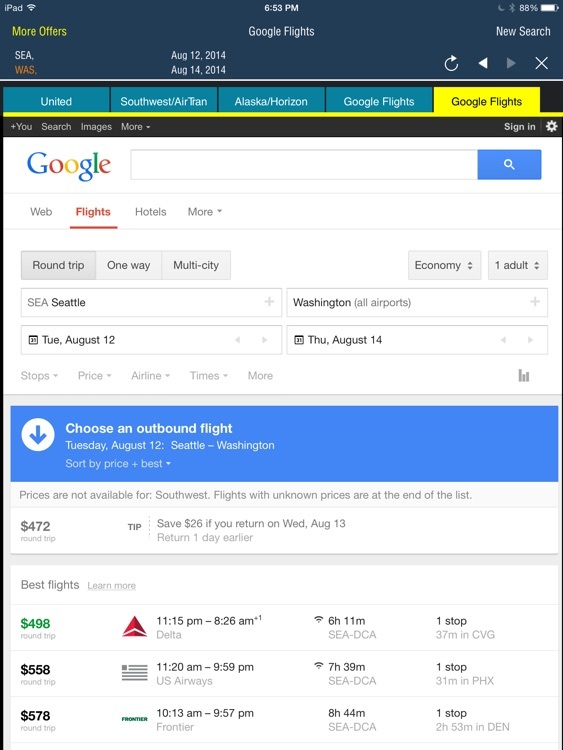 Its as though you went to each airline and search site and entered your info, but you only enter your info once. If you want more than a price list then Frugal is your choice. Frugal displays full offers from each airline you select --including available seats, wifi, variable pricing, food, baggage fees and more. Each offer is displayed in its own window and you can easily switch between windows for comparison. 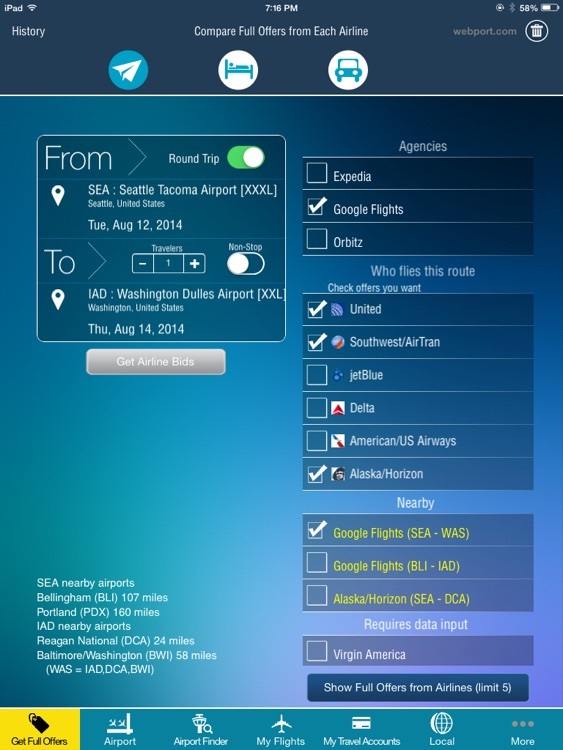 Frugal identifies the major airlines including American Airlines, Southwest Airlines, United Airlines, US Airways, JetBlue, Delta Airlines, Alaska that fly the route you want and lets you see offers direct from them. Frugal traveler also searches the major hotels including Hilton, Holiday Inn, Marriott, Motel 6, Days Inn, Courtyard, Hampton Inn, and Best Western. 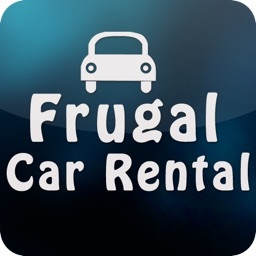 Frugal traveler also searches rental cars including Hertz, Avis, Enterprise and Payless. Frugal traveler provides access to offers from Expedia, Orbitz, Priceline, Hotwire, Travelocity and others. 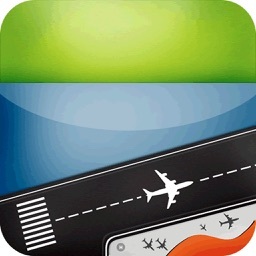 Frugal Flyer also includes a powerful airport app with comprehensive information for every airport in the world. 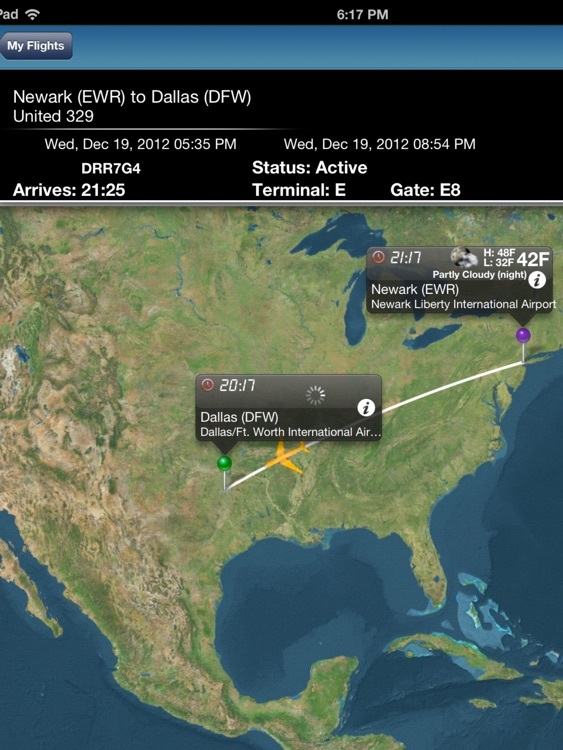 Frugal provides arrival and departure boards, flight tracking, and flight alerts. After you book your flight, Frugal provides the info you need to make the most of your flight.